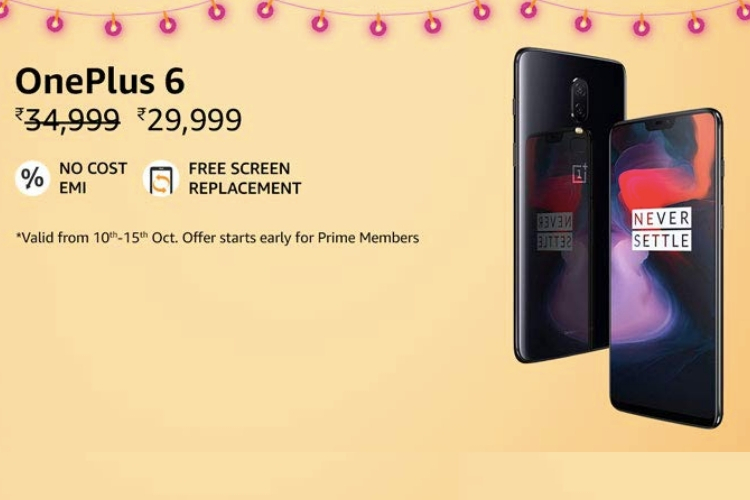 Ahead of the launch of the OnePlus 6T, which is expected to happen sometime later this month, the price of its predecessor, the OnePlus 6, has been temporarily discounted for Amazon’s Great Indian Festival sale event that kicks off October 10. 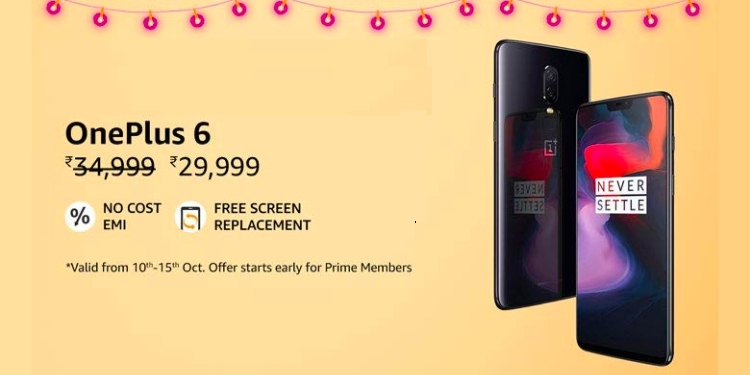 On the landing page for the sale event, Amazon has today revealed that the OnePlus 6’s base variant (6GB+64GB) will be marked down by Rs 5,000 for an effective price of Rs 29,999 as compared to its original Rs 34,999 price tag. The e-commerce giant currently lists that only the base variant of OnePlus 6 has bagged the price cut, but we’d love to see other higher memory and storage variants to also be discounted during the sale. You’ll also get no-cost EMI options, as well as a free screen replacement when you buy the device. This hefty price cut, which comes as a surprise, makes the OnePlus 6 quite an attractive purchase for the build quality and user experience that you’ll get with the device. It may, however, not be a wise decision considering its successor could be unveiled in the next couple of weeks.